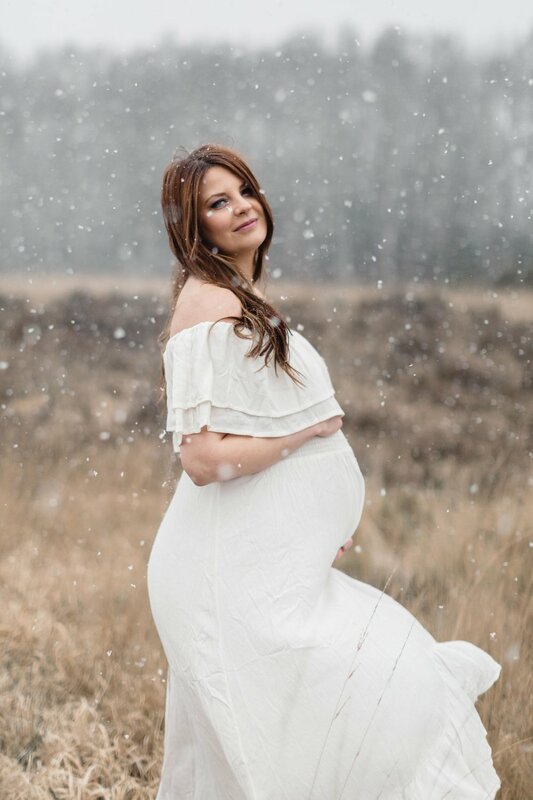 A Snowy Maternity Shoot — . 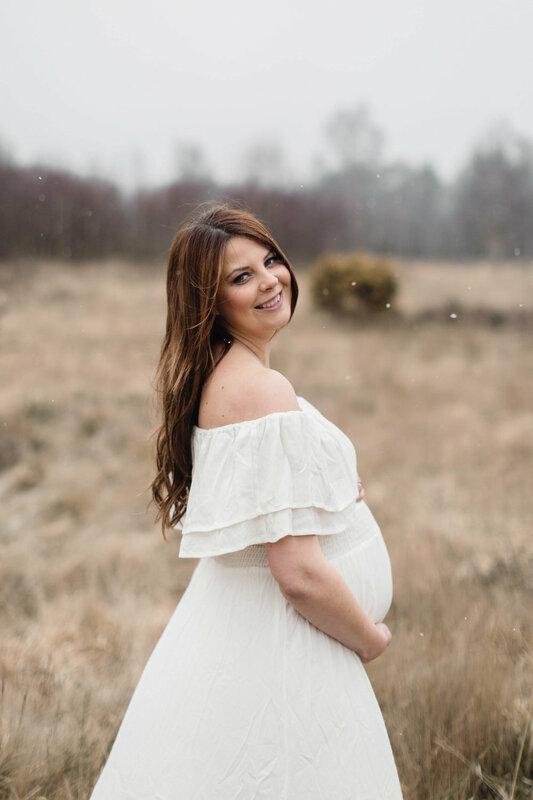 We had planned a maternity shoot for Candra today and we were so lucky to have the most magical snow just after we arrived at our location. Candra is one of my Braid and Bloom team mates and we as a team wanted to treat her to a little maternity shoot to celebrate this special time. Kerry created her flawless makeup look and Cindy created her beautiful boho waves. We weren't out in the snow for long and had hot water bottles to hand but it was so much fun and I love how the photos came out.